Most sectional garage doors are composed of four hinged panels. These panels are often subject to a lot of wear and tear. They may also become damaged by children playing kickball or someone accidentally backing or driving into the door – whoops! The good news is that garage door panel replacement may be possible depending on the extent of the damage. The age of the door must also be considered. 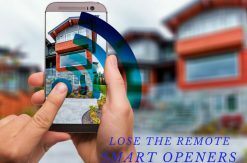 If multiple sections are broken or the track is bent, or the door is very old, it may be more cost effective to replace the entire door. Remember: Garage doors are incredibly heavy and cumbersome. Attempting to repair damaged garage door panel sections yourself can be dangerous and more damage could result. Contacting a garage door repair professional is always the safest bet. An expert can advise you on all available options. Here are the three most important factors that should be considered when researching your options. 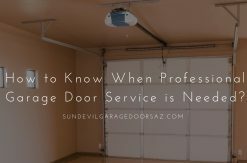 This can help you make an informed decision as whether to replace damaged panels or invest in a new garage door. For newer garage doors (less than 10 years), finding replacement panels should be relatively easy. Try to purchase sections that match your specific model, color, and style. Because the Arizona sun may have caused fading, you may want to consider painting the entire garage door to ensure all sections match. Pinterest has some great ideas you can use for inspiration. If the damage is the result of a collision, the force of impact could have thrown the door’s balance off, bent the track, or caused a spring or cable to break. These damages may not be visible to the untrained eye. Panel replacement is also not a viable option when multiple sections have been damaged. In either of these situations, the door could become hazardous. The damage should be assessed by a professional as soon as possible. Many local garage door repair companies offer same-day and 24-hour emergency repair services to ensure your safety in situations where the door poses a significant risk. If there is extensive damage, panels for your specific door are no longer in production or you are interested in transforming your curb appeal, it may be more cost-effective to replace the garage door. Garage door replacement, according to Remodeling magazine’s annual Cost vs. Value Report, has a 98.3% return on investment as well. Consult a garage door repair professional to make an informed buying decision. 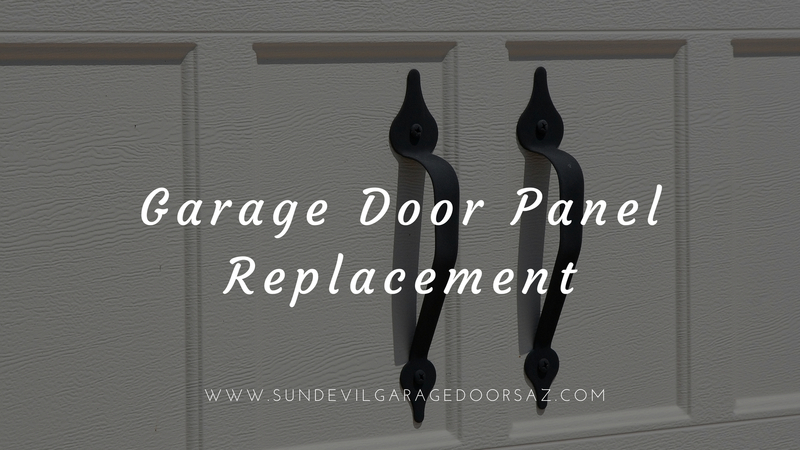 Sun Devil Garage Door Repair works with every type of garage door and automatic opener. We are proud to have years of sales, installation, and repair services experience. We provide high-quality service at affordable prices. Contact us today at (480) 838-9397.